In 2015 it was announced that after years of having races at the other Disney properties, Run Disney confirmed that the Disneyland Paris half marathon weekend was actually going to happen. 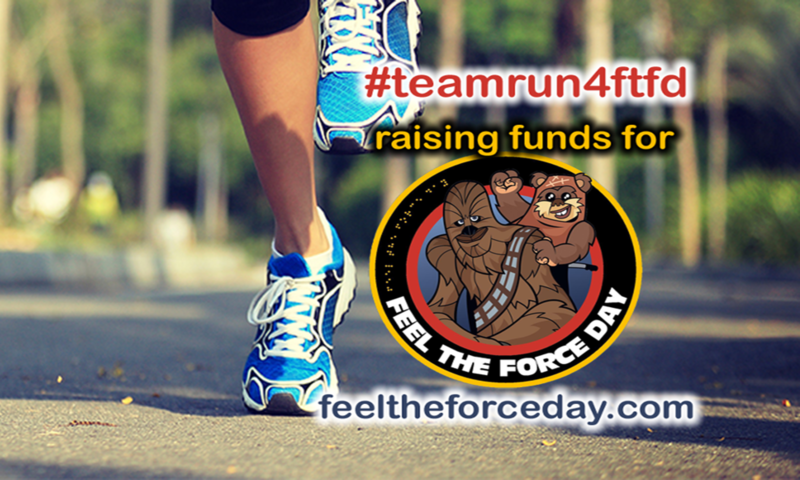 As unfit Disney fans Sam and Sharon signed up .. and if they were going to run it was going to be for a good cause. What better cause than Feel the Force Day. A fantastic weekend was had, over £1,000 was raised. How could they top that amazing weekend? We took a team of 6 people .. James, Mandy, Sharon, Ben, Sam and not forgetting the amazing Jonathan. Over the newly branded Magic Run Weekend all 6 of us ran the 5k race which started at 8pm on friday night. Was amazing fun and a great experience …. BUT .. that wasn’t the end of the fun .. after going back to the hotels and crashing for about 5 hours .. we were up and at it again .. this time 4 of us (Ben, Sharon, Mandy and Jonthathan) ran the 10k which started at 7am saturday morning !! Yes you ready that right .. 7am .. we needed to be in the corals between 6 & 6:30 so that meant getting up at 5am !! We look quite chipper as it was 6:30am and damn cold !!! Luckily we were kept as a party and jumped into the back of Coral A with the other wheelchair runners ..
Plans for 2019 is underway .. check out the Magic Run Weekend 2019 page for details.